OK, Im slowly finding the correct proportions I was looking for. 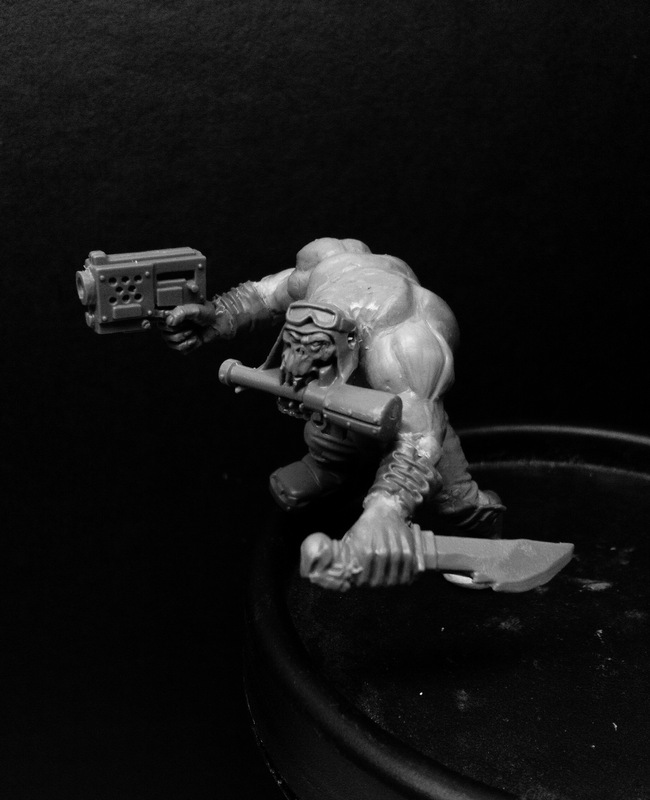 Like my friend mentioned, my interpretation of these Orks will be best described as “Alex Boyd Orks” you know, those huge muscular killing machines that you find in those b&w illustrations on Ork Codex. I begun by repositioning the Nob legs to more dynamic pose, I want my kommandos to look like if they were slowly infiltrating through the battlefield looking for suitable targets to destroy. Torso was custom sculpted using Pro-Create, since the Nob torso’s were way too blocky for my use. For the arms I chose to mix nob arms mixed with regular Ork boy hands thus creating illusion of more muscular arms;) finally the head was picked from a Storm Boy sprue since it had such nice “Da Speshul Force” appeal;)! Next he will need some proper Kommando gear!, you know, stikk bombz ‘n lots of extra dakka!!! That’s a great core build. 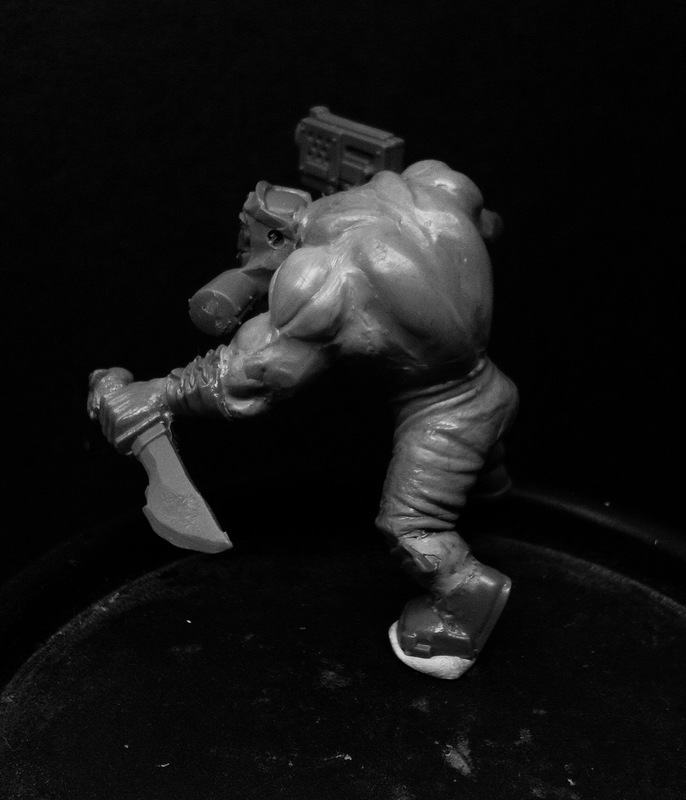 The sculpted torso is really great, proper hulk and I reckon this being only a boy the nob will be a monster. Very good figure, now I know what you meant with being unhappy with the Ork proportions and posture. 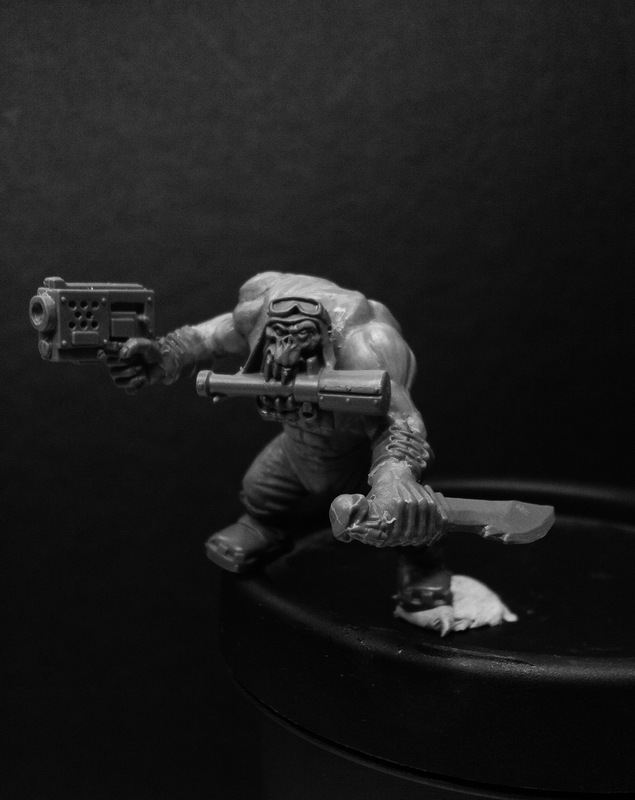 Very nice – this is how the orks should look! 🙂 To be honest I have not liked the ork models since they changed from Kev Adams to Brian Nelson in 3rd edition 40k – due to the proportions being all wrong. Yours looks very nice though. Looking forward to seeing more. Very nice piece of sculpting Mikko. To nail the “Boyd-look” the only thing missing now are a visible ridge of vertebrae along his back (and some scars). Amazing sculpting! Is that procreate? The smaller hands work perfectly. Previous Post Imperial Assassins dispatched! Next Post Vlka Fenryka – Silently slaving away, expecting results sooner than later.